If your looking for a healthy, natural way to get a beautiful, bronze tan, you've gotta try MadFlowers Henna Bronzing Oil. It's the first in the industry creating a lasting, even sunless tan on any skin tone using natural henna plant extracts! The result is healthy, golden-brown glowing skin with a light sensual oil fragrance. 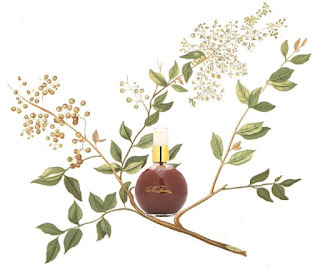 MadFlowers has been featured in many publications with articles in Allure, C Magazine, Dallas Magazine, GCI (Global Cosmetic Industry), The Beauty Magazine, Lucky Magazine, and Mass Appeal. Not only does it create an instant bronze tan, it contains henna which makes it last for 3-5 days! No harsh chemicals, no sun damage, just natural looking color. I love this bronzing oil because not only does it look like a healthy, natural tan, it smells great too! There is no orange color or streaking effects like other self tanning products and bronzers can leave. Application is as easy as appyling a lotion and MF Henna Bronzing oil works for all skin tones and skin types and doesn't cause any irritation or breakouts. Just healthy looking color that lasts 2-4 days depending on application. You can use the henna bronzing oil on your face, body and hair. The featured ingredients are Henna, (a natural pigmented bronze color, moisturizer and natural sunblock), Helichrysum, (helps cell regeneration and improvement of skin circulation and condition), Kukui Nut oil, (a lightweight moisturizing oil that absorbs easily into the skin), Lavendar oil, (calms and heals skin and promotes physical and emotional balance), Bergamot fruit oil, (relieves anxiety, stress and tension) and Rosewood oil, (creates skin elasicity, soothes skin and slows the ageing process). So if you want a beautiful, natural looking tan for summer or any time, you should give MadFlowers Henna Bronzing oil a try. Say goodbye to harsh chemicals, synthetic fragrances, streaking and orange tones. Henna Bronzing Oil blends into the skin flawlessly and offers a healthy alternative for achieving the San Tropez tan. Hi, I never tan, have very pale white european skin, burn and back to white again, will this product work for me? Absolutely! It's just a stain so it fades in a few days. Try it and see what you think. It should be perfect for your skin! Will give it a go and let you know how I get on. Cheers.